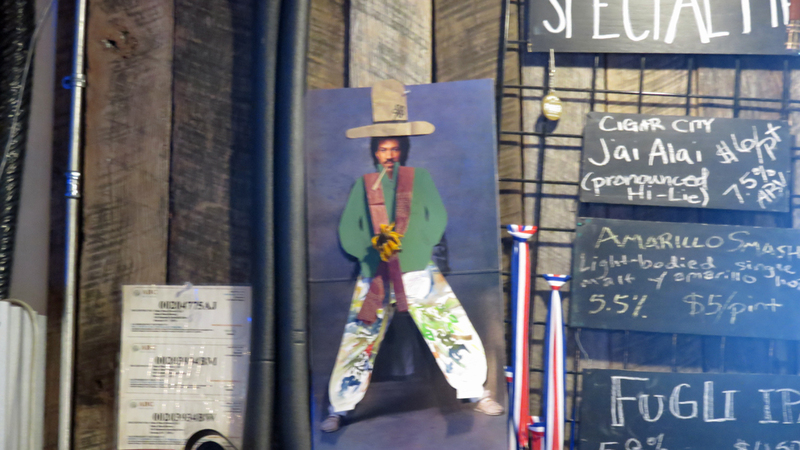 Beer Voyage — Oskar Blues, North Carolina – Why Am I Not There? Hellooooooooo. Is it beer you’re looking fooooorrrrr. I can see it in your eyes. 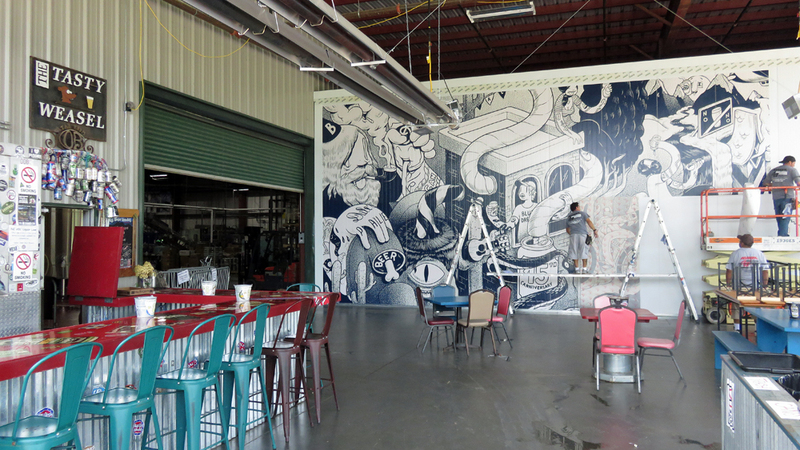 Oskar Blues is another major craft brewery that chose the great state of North Carolina to build a production facility and tap room. This is one of two locations outside of their home state of Colorado (the other being Austin, TX). Based in Brevard, NC, it’s a 30-minute drive from the beer mecca of Sierra Nevada’s North Carolina facility and a 42-minute drive from Asheville. 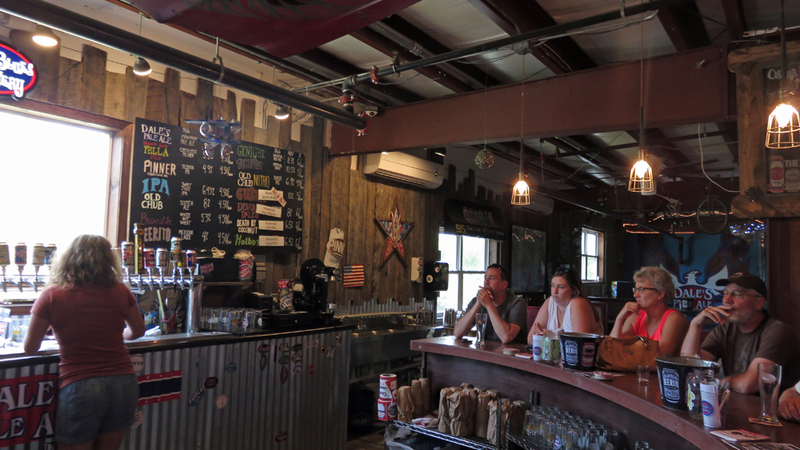 While Oskar Blues is a well-known and well-respected brewery with Dale’s Pale Ale being a staple of craft beer, it’s not a “must-visit” for beer travelers. The facility is if a drive bar made a brewery. 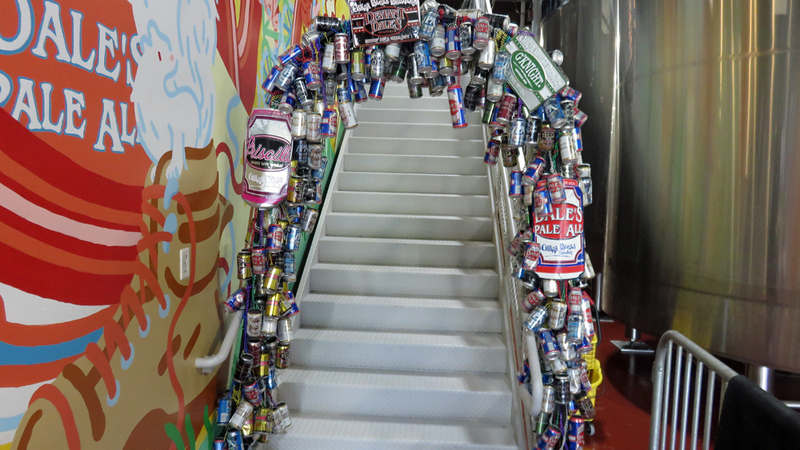 It does go with the Oskar Blues brand in that it’s a little rough around the edges. The beer garden is sparse and on a 100-degree day, it was not optimal for day drinking. As you can see, the towering mural was under construction. 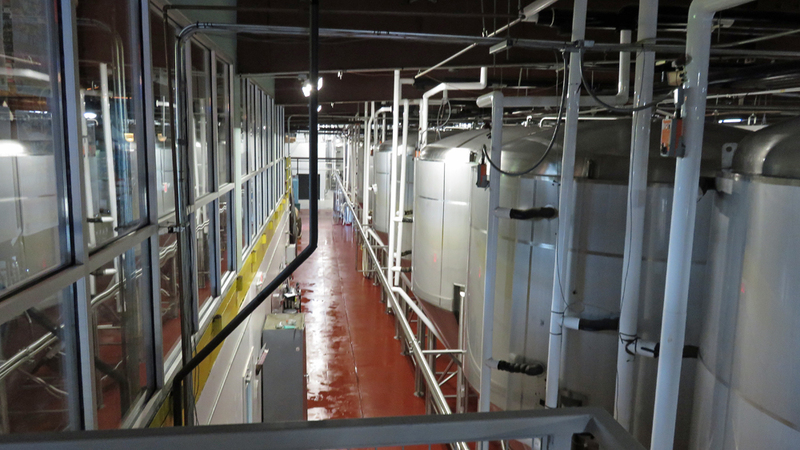 The tap room, where you enter through a gate of cans, is located above the tanks. It’s mostly a large merch store with a horseshoe bar and a few tables around. The tap list has their year-long flagships (Pale Ale, Mama’s Little Yella Pils, Old Chub), rotating seasonals (Hot Box Coffee) and a few one offs. When I visited, I was looking at the chalk board to decided on my flight and happen to pick 3 out of the 5 were kicked. That’s all fine and good. I picked others. The next person did the same thing, the beers were out. OKAY! Here’s the thing. It’s a chalk board. Chalk boards come with chalk erasers. A simple three second swipe with the eraser solves the problem of people ordering beers that are not available.